#BFA 7 1/2" x 8 1/2" x 3/16"
These popular Origin'L Fabric® 7.5x8.5x3/16" Antimicrobial MousePads are tried & true promotional workhorses. The soft fabric surface provides the comfort and superior mousing performance computer users have favored since the mouse pad was invented. As an added value, your customers will love the antimicrobial protection. Even in today's wireless world, mousepads are great for all the businesses, offices, banks, & hospitals using desktop computers. Made in the USA using materials ALSO Made in the USA. This mouse pad's vivid, full color sublimation imprint successfully delivers your message in a print area larger than most other promotional products-more space=more message! 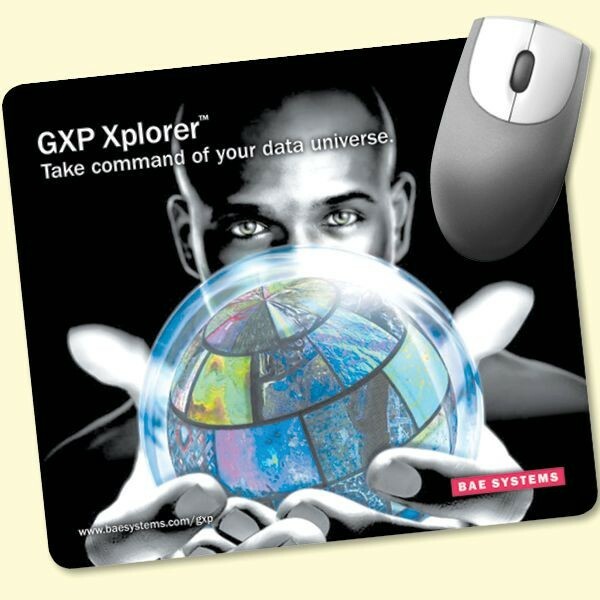 These thick, premium mousepads are also great for gifts, events, meetings, tradeshows & more. Minimum order is 100 pads. 7 1/2" x 8 1/2" x 3/16"